Office Space - Filey, North Yorkshire. 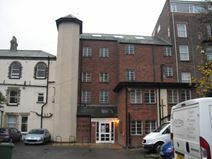 This centre is located close to Filey train station and not far from many restaurants, shops, cafes and bars. This period property is set on the cliff top, with lovely views over the sea and cost line. Offering 20 individual rooms on flexible terms, and on-site parking is available.